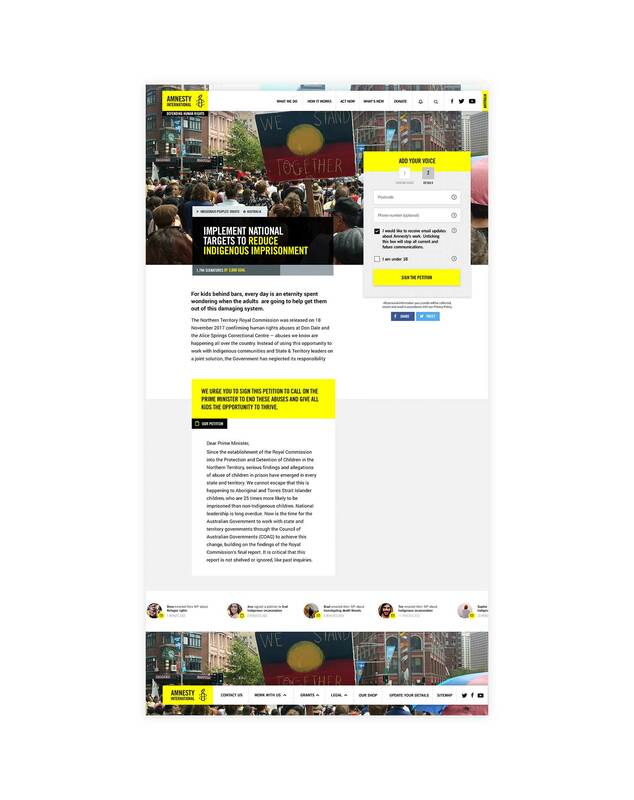 Creating a digital rebrand and new web platform for Amnesty International Australia was a serious and immense responsibility – and a rare design opportunity. 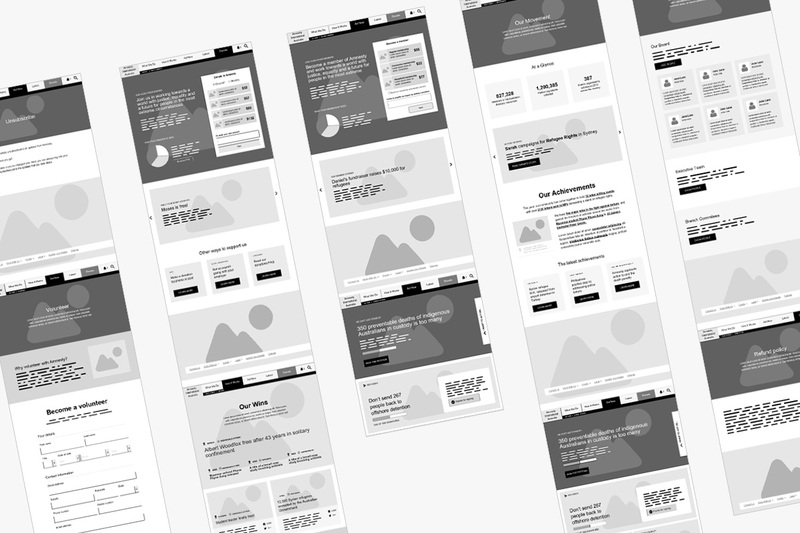 I led a team of designers to overhaul their digital presence as Head of Design at Agency SC—leading the UX and UI design of the platform, and creation of a digital style guide for the organisation that rolled out across both digital and print touchpoints. Early user research led to the fascinating insight that most people don’t really understand exactly what human rights are—so I worked with our Head of Digital, Tom Maitland, and Tech Lead, Paul Cox, to create a platform that made human rights understandable, personal and relevant again. We created a site that personalises as the user interacts with it, remembering the human rights issues they click through on the most. 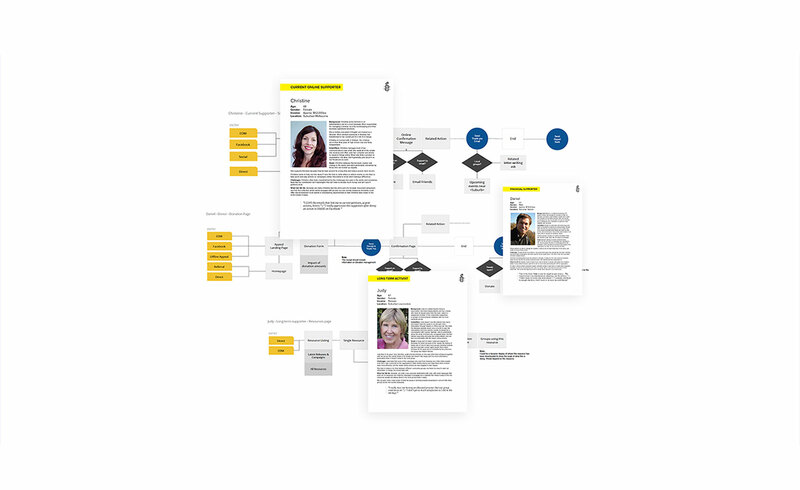 The site then serves relevant content to build direct pathways to action on those causes people really care about, and introduces them to new related causes they might find relevant to build a long and sustainable journey with Amnesty. 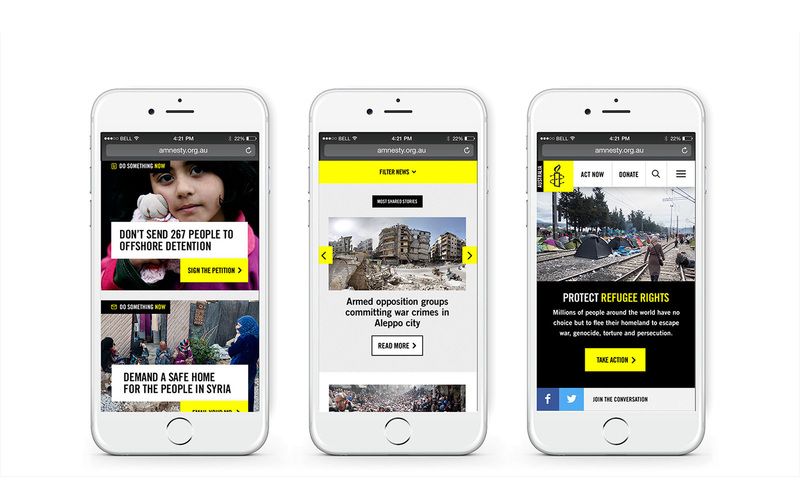 From deep research and quantitative audience analysis, through a comprehensive digital communications strategy, to wireframing, prototyping, user testing, and then design – I was really happy to be involved in leading and creating a holistic and effective new digital brand for Amnesty. The site redesign resulted in an immediate doubling of volunteer applications, a 17% increase in time on page, a 25% decrease in bounce rate, and an average 30% decrease in bounce rate across mobile devices. 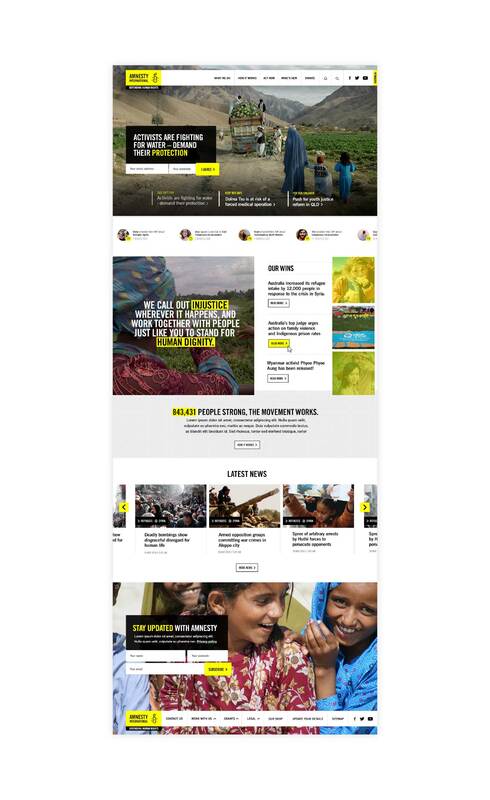 It also won an AGDA Award for design, and was a 2018 Webby Award Honouree.